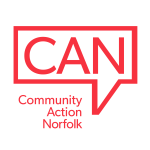 Through discussion with local partners in the Breckland District Council and King's Lynn and West Norfolk Borough Council areas (all of West Norfolk CCG and the Breckland part of South Norfolk CCG) Community Action Norfolk will be managing the delivery of Social Prescribing. We expect service launch date to be soon after this, once all appropriate induction and training elements have been completed. We are working with NCC and other partners on confirmation of referral processes, more detailed information about the service provision that can be distributed to partners and specifics around some of the evaluation elements.